Tensions between Turkey and Syria have continued for the sixth day with reports that both sides are exchanging mortar fire. The Turkish government has been bolstering its forces along the 560-mile border after a Syrian shell killed five Turkish citizens in a border town on Wednesday. Turkish Deputy Prime Minister Besir Atalay said on Friday that Syria had apologized for the accident, AFP reported. But another shell was reported to have fallen into Turkish territory near the border town of Akcakale on Sunday, said the Associated Press, whose correspondent witnessed the explosion. On Monday afternoon, Turkish news sources said a Syrian shell landed in the province of Hatay just a few hundred yards into Turkey, according to Reuters. Both shells were followed by Turkish artillery fire into Syria, a response Turkey has said would proceed any errant bombing on its territory by Syrian forces. It remains unclear if any targets were hit by Turkish forces. On Monday, Turkish President Abdullah Gul said that the worst case scenario was now playing out in Syria and that Assad's fall was inevitable. “The worst-case scenarios are taking place right now in Syria ... Our government is in constant consultation with the Turkish military. Whatever is needed is being done immediately as you see, and it will continue to be done,” Gul said, according to Reuters. Syria, meanwhile, ramped up its rhetoric to match the escalating tension. The New York Times wrote that Syria had accused Turkey of having "imperialist delusions," in the words of the Times. UN Secretary-General Ban Ki-moon warned that the continuing escalation in violence threatens regional security and remains “extremely dangerous,” reported Reuters. The Syrian government continues to deny that there is a popular uprising, instead blaming foreign agitators for the fighting. Syria has not acknowledged the shelling into Turkey since Wednesday's incident. The Syrian government has been battling rebels over control of border posts in recent months, both those leading to Turkey and to Lebanon, likely causing artillery shells to fall just over the border. Syrian artillery killed three Lebanese women in July in the northern town of Wadi Khaled. GlobalPost wrote that Syrian warplanes had also hit targets just over the border of Lebanon last month. Syria and Turkey, once allies, have seen tensions mount in recent months. France24 reported that Turkey has nearly 100,000 Syrian refugees living near the border and continues to openly support the forces opposing the Assad government. Amnesty International condemns the bombing at Turkey’s Cilvegözü border crossing with Syria. According to reports the explosion occurred at around 3pm on 11 February, killing 14 people including children. Four of the dead are Turkish citizens, 10 are Syrian nationals. The blast also injured more than 20 others, many of whom continue to receive treatment in hospital. The Cilvegözü border crossing is the main crossing point between Turkey and Syria in the Hatay province and a major route for the passage of humanitarian supplies into Syria. The explosion occurred at a busy area where it would be expected to cause major loss of life. Indiscriminate attacks of this kind demonstrate contempt for the fundamental principles of international law. As yet, no individual or group has claimed responsibility for the bombing. Amnesty International calls on the Turkish authorities to conduct a thorough and impartial investigation and bring those responsible to justice in fair proceedings in line with international human rights standards. HATAY -- Turkish police have detained eight people with links to Syrian army and intelligence who are suspected for involvement in a deadly car bombing last month at the Cilvegözü border gate, Turkish interior minister said. “Our security forces arrested four Syrian nationals and one Turkish citizen,” Muammer Güler said in televised remarks on the minibus bombing that killed 14 people. “We detected their links with the Syrian intelligence and army,” he said, adding that one other suspect who was wanted for questioning remains at large. Three of the eight detained have been released by the prosecutor's office. The minister also said two of the suspects, who escaped to Syria, have been “brought” to Turkey. For the applicability of IHL, is it relevant that a non-international armed conflict was ongoing in Syria? Whether Turkey supports the Syrian rebels? Whether the Syrian attacks were targeting Turkish civilians, Syrian fighters or Syrian refugees? Whether the shells deliberately targeted Turkish territory or accidentally landed in Turkey? That Lebanon did not react to the shelling of its territory? Are Syria, Lebanon and Turkey parties to Protocol I? Which law applies to the relationship between Syria and Turkey? Does Syria have more obligations to respect than Turkey because it is party to the Protocol? 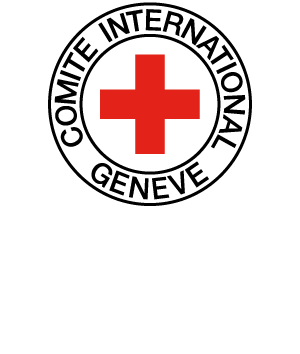 If the Cilvegözü blast were attributable to Syria, but not committed by its armed forces, would it be subject to IHL of international armed conflicts? Assuming that the five Turkish nationals killed were supporting the Syrian rebels, would the IHL of international or of non-international armed conflicts apply to the attack? In what respect could the IHL of international and of non-international armed conflicts lead to a different evaluation of the lawfulness of the attack? Under what law should the legality of the car bombing be examined? IHL of international armed conflicts? IHL of non-international armed conflicts? International human rights law?